I am so excited to be part of another educational link up with my friends from The Reading Crew! 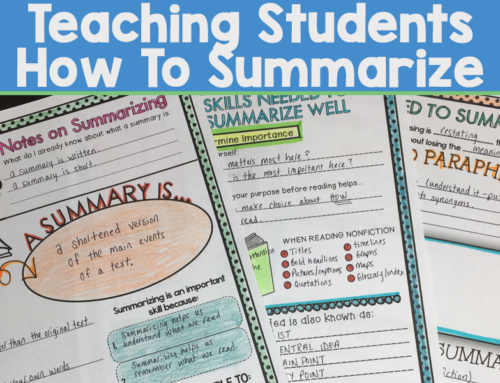 We have some really amazing tips, tricks, advice to share that will spruce up your literacy program. I am going to talk about seesaw. I love seesaw so much. If you are not on seesaw yet STOP everything and get it now. Seesaw is such an amazing tool for communication and student portfolio building. It has a very small learning curve and the sooner you start using it the sooner it will become a natural tool for giving individual feedback and encouragement to students. It also allows you to share what you are learning in school with parents, strengthening that home-school connection. Seesaw allows your student to interact with a file and record their process. They then save the file, by adding it to their portfolio, which will give you feedback and give you a sample of the students work that you can then share with the student’s family. 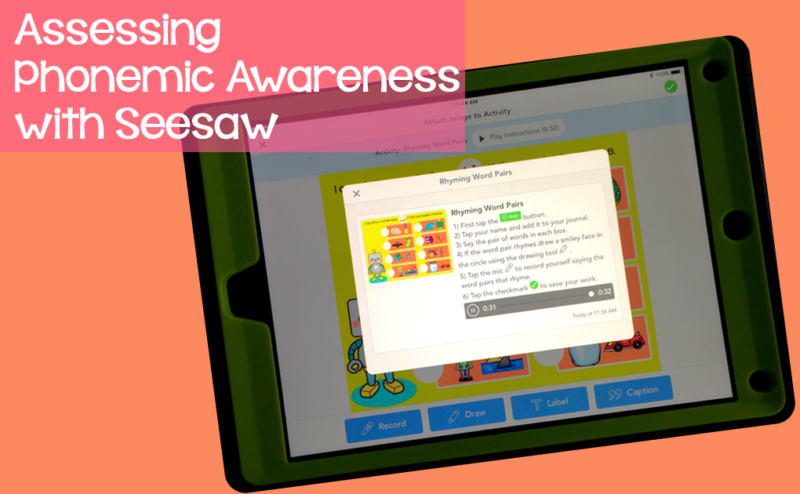 Students can display their knowledge of phonemic awareness by using seesaw. In the sample freebie, your students will say the names of the pictures in the box and indicate if they rhyme. Counting Words Using Story Cards: Students can take a photo of a story card and create a sentence. Then they can mark on the picture with lines to indicate the number of words in the sentence they created. Some of my favorite storytelling cards are from eeboo. Rhyme Recognition: Your student will look at the pair of pictures in the box and decide if they rhyme. Once they have done that, they will say all the rhyming pairs. Get a copy of this activity for free. Rhyme Production: Using a rhyming game you already have, your students will create a set of 6 rhyming pairs. Take a photo of it and then they can say the rhyming pairs, extra points for continuing their rhymes to include real words and nonsense words. Initial/Ending Sounds: Students will draw a picture card, they will take a photo of it and record themselves saying the sound and isolating the initial or ending sounds. I hope that the following activities inspired you to record phonemic awareness in a variety of ways with students. If you are interested in other ideas on how you can use seesaw, please check out this blog post, Using the Seesaw App in the Classroom or Homeschool Setting. Enter to win some wonderful prizes!